Was John Calvin a Nestorian? I ask because of the (at least superficial similarity) between the extra calvinisticum and Nestorian thought, and because his theology of the Lord's Supper has historically gotten him accused of Nestorianism. Read on for more on each of these reasons. Nestorius, patriarch of Constantinople, was condemned as a heretic at the council of Ephesus in 431 for his over-emphasis on the distinction of Christ's natures, which practically made those natures persons in their own right. asserts that, at the union of the Logos with the flesh, the divine Essence moved from one place to another; or says that the flesh is capable of receiving the divine nature ... or ascribes to the flesh by reason of its reception of God. an extension to the infinite and the boundless. Nestorius' Counter Anathemas to Cyril, in C. J. Hefele, A History of the Councils of the Church, III (1883), p. 35, Anathema 2. For even if the Word in His immeasurable essence united with the nature of man into one person, we do not imagine that He was confined therein. Here is something marvelous: the Son of God descended from heaven in such a way that, without leaving heaven, He willed to be borne in the virgin’s womb, to go about the earth, and to hang upon the cross; yet He continuously filled the world even as He had done from the beginning! John Calvin, Institutes of the Christian Religion, ed. John T. McNeill, trans. Ford Lewis Battles, 2 vols., (Philadelphia: Westminster, 1960), 1:481. [W]e offer the unbloody worship4 in the churches and so proceed to the mystical thanksgivings and are sanctified having partaken of the holy flesh and precious blood of Christ, the Saviour of us all. This we receive not as ordinary flesh, heaven forbid, nor as that of a man who has been made holy and joined to the Word by union of honour, or who had a divine indwelling, but as truly the life-giving and real flesh of the Word. For being life by nature as God, when He became one with His own flesh, He made it also to be life-giving, as also He said to us: "Amen I say to you, unless you eat the flesh of the Son of man and drink His blood." For we must not think that it is the flesh of a man like us (for how can the flesh of man be life-giving by its own nature? ), but as being made the true flesh of the one who for our sake became the son of man and was called so. Cyril of Alexandria, Third Letter to Nestorius. If anyone does not confess that the flesh of the Lord is life-giving and belongs to the Word from God the Father, but maintains that it belongs to another besides Him, united with Him in dignity or as enjoying a mere divine indwelling, and is not rather life-giving, as we said, since it became the flesh belonging to the Word who has power to bring all things to life, let him be anathema. Cyril of Alexandria, Anathema 11. Away, then, with those who, on the view of a missal-god of wafer, bend their knees in hypocritical adoration, and allege that they sin the less because they worship an idol under the name of God! As if the Lord were not doubly mocked by that nefarious use of His name, when, in a manner abandoning Him, men run to an idol, and He Himself is represented as passing into bread, because enchanted by a kind of dull and magical murmur! Calvin, On Shunning the Unlawful Rites of the Ungodly, and Preserving the Purity of the Christian Religion, 1537; translated by Henry Beveridge, 1851; reprinted in Selected Works of John Calvin: Tracts and Letters, Vol. 3: Tracts, Part 3, edited by Henry Beveridge and Jules Bonnet, Grand Rapids, MI: Baker Book House, 1983; citations from pp. 386-387. I'd like to understand how Calvin's denial of Eucharistic Adoration relates to Cyril's affirmation of it. It was, after all, Calvin's view of the Supper that resulted in the Lutherans calling him a Nestorian. Calvin also admitted that his view was different from the early church fathers'.7 He believed that the early church practices and beliefs were corrupted. So, was John Calvin a crypto-Nestorian? 1 Nestorius, Letter II to Cyril, in F. Loofs, Nestoriana, pp. 175f. ; for the French tr., see F. Nau, Revue de L ’Orient Chretien, XVI (1911), pp. 182f. 2 Nestorius' First Letter to Celestine, Library of Christian Classics, III, p. 347. 4 In Latin text sacrificii servitutem and in Greek text τελοῦμεν λατρείαν. 5 "Take note of those who hold heterodox opinions on the grace of Jesus Christ which has come to us, and see how contrary their opinions are to the mind of God.... They abstain from the Eucharist and from prayer, because they do not confess that the Eucharist is the flesh of our Savior Jesus Christ, flesh which suffered for our sins and which the Father, in his goodness, raised up again. They who deny the gift of God are perishing in their disputes." St. Ignatius of Antioch, Letter to the Smyrnaeans, 6. 6 Unlike what allegedly accused of Calvin, he has in mind a higher view of the Lord's Supper than merely a memorial view. Thanks to Adithia for a stimulating question, and Mr. Bultitude for a thorough and impressive reply. It seems to me that the Calvinists resolutely deny that there were two personae or prosopa in Christ, but still end up with two hypostases in that they treat the natures as acting subjects. This seems to me to be a weakness of the Western Aristotelian tradition. I say this as a Lutheran, having seen this kind of language in our doctrinal statements also. But thankfully we are so Cyrillian that what we end up confessing with this semi-Nestorian language is still a complete rejection of Nestorianism, as the Calvinists witness when they accuse us of the opposite error. I do not consider the Calvinists to be Nestorians. They understand Christ as One psychological Subject. But they do end up with some Nestorian conclusions. I'd also like to note that Patristic confessions re: the continued omnipresence of the Logos during the days of Christ's humiliation do not in any way support the extra-calvinisticum, which is not an affirmation of divine omnipresence, but a denial of omnipresence to the humanity, even now that Christ has been glorified. Finally, I would take issue with Adithia's statement, "The Logos has two natures but the person is only divine." If the one Hypostasis of the Word has a divine and a human nature both, then He is equally God and a Man, although He is only One Hypostasis. To divide the Hypostasis from the natures, and treat the humanity as something the Logos can possess without being, is to misunderstand what a hypostasis is, in much the same way as the Calvinists do when they affirm one persona or prosopon and consider that they have confessed the Hypostatic Union by so doing. Again, I suspect that Medieval Scholasticism is to blame. In Calvin's commentary on John, he gives a classic summary of the Chalcedonian Definition, and in the process condemns Nestorius. The plain meaning therefore is, that the Logos begotten by God before all ages, and who always dwelt with the Father, was made man. On this article there are two things chiefly to be observed. The first is, that two natures were so united in one Person in Christ, that one and the same Christ is true God and true man. The second is, that the unity of person does not hinder the two natures from remaining distinct, so that his Divinity retains all that is peculiar to itself, and his humanity holds separately whatever belongs to it. And, therefore as Satan has made a variety of foolish attempts to overturn sound doctrine by heretics, he has always brought forward one or another of these two errors; either that he was the Son of God and the Son of man in so confused a manner, that neither his Divinity remained entire, nor did he wear the true nature of man; or that he was clothed with flesh, so as to be as it were double, and to have two separate persons. Thus Nestorius expressly acknowledged both natures, but imagined two Christs, one who was God, and another who was man. Eutyches, on the other hand, while he acknowledged that the one Christ is the Son of God and the Son of man, left him neither of the two natures, but imagined that they were mingled together. And in the present day, Servetus and the Anabaptists invent a Christ who is confusedly compounded of two natures, as if he were a Divine man. In words, indeed, he acknowledges that Christ is God; but if you admit his raving imaginations, the Divinity is at one time changed into human nature, and at another time, the nature of man is swallowed up by the Divinity. The Evangelist says what is well adapted to refute both of these blasphemies. When he tells us that the Logos was made flesh, we clearly infer from this the unity of his Person; for it is impossible that he who is now a man could be any other than he who was always the true God, since it is said that God was made man. On the other hand, since he distinctly gives to the man Christ the name of the Logos, it follows that Christ, when he became man, did not cease to be what he formerly was, and that no change took place in that eternal essence of God which was clothed with flesh. In short, the Son of God began to be man in such a manner that he still continues to be that eternal Logos who had no beginning of time. Elsewhere he affirms that Christ the man was God, and again condemns Nestorius. Because there be distinct natures in Christ, the Scripture cloth sometimes recite that apart by itself which is proper to either. But when it setteth God before us made manifest in the flesh, it doth not separate the human nature from the Godhead. Notwithstanding, because again two natures are so united in Christ, that they make one person, that is improperly translated sometimes unto the one, which doth truly and in deed belong to the other, as in this place Paul doth attribute blood to God; because the man Jesus Christ, who shed his blood for us, was also God. This manner of speaking is caned, of the old writers, communicatio idiomatum, because the property of the one nature is applied to the other. And I said that by this means is manifestly expressed one person of Christ, lest we imagine him to be double, which Nestorius did in times past attempt. Historically, iconoclasts accuse iconophiles of Nestorianism. This can be seen in the Council of Hieria, which condemned icons before being declared a "Robber Council" at the Second Council of Nicea. It can also be seen in today's reformed theologians. They read that iconophiles defend icons of Christ as depicting his human nature and not his divine nature, and they object, "But the natures are inseparable! Jesus is God! To divide the natures is Nestorian." The blessedness brought to us by Christ cannot be the subject of our praise, without reminding us, at the same time, of the distinguished honor which God was pleased to bestow on Mary, in making her the mother of his Only Begotten Son. ... She [Elizabeth] calls Mary the mother of her Lord. This denotes a unity of person in the two natures of Christ; as if she had said, that he who was begotten a mortal man in the womb of Mary is, at the same time, the eternal God. For we must bear in mind, that she does not speak like an ordinary woman at her own suggestion, but merely utters what was dictated by the Holy Spirit. To paraphrase: God made Mary the mother of his Son, that is, the Son of God, the second person of the trinity. Jesus, who is in her womb, is "the eternal God." We have no difficulty in defining the doctrine of Nestorius so far as words are concerned: Mary did not bring forth the Godhead as such (true) nor the Word of God (false), but the organ, the temple of the Godhead. The man Jesus Christ is this temple, "the animated purple of the King", as he expresses it in a passage of sustained eloquence. The Incarnate God did not suffer nor die, but raised up from the dead him in whom He was incarnate. The Virgin Mary ... completely sanctified by the grace and blood of her only Son and abundantly endowed by the gift of the Holy Spirit and preferred to all ... now lives happily with Christ in heaven and is called and remains ever-Virgin and Mother of God. Notice, he thought it would "confirm the ignorant in their superstitions," i.e. veneration of Mary as mediatrix. Again, a far cry from, "Jesus was the temple of the Godhead, not actually God." Calvin would (I'm speaking hypothetically, but with confidence nonetheless) similarly reject calling David the "Father of God" even though he truly is Jesus' forefather, or calling anyone an "ancestor of God." Jesus apprenticed under Joseph, making Joseph "master of God" or "teacher of God." Each of these expressions could possibly have an orthodox use, by stirring up awe and wonder about God becoming a man, but they could just as likely confuse people unto superstition. This seems to be what Calvin was telling the London church to guard against. Notice that he rejects it because it "can only serve to confirm the ignorant in their superstitions," not because the man/baby Jesus wasn't properly called God. The Word was not hedged in by His body, nor did His presence in the body prevent His being present elsewhere as well. When He moved His body He did not cease also to direct the universe by His Mind and might. No. The marvelous truth is that being the Word, so far from being Himself contained by anything, He actually contained all things Himself. In creation He is present everywhere, yet is distinct in being from it; ordering, directing, giving life to all, containing all, yet is He Himself the Uncontained, existing solely in His Father…. His body was for Him not a limitation, but an instrument, so that He was both in it and in all things, and outside all things, resting in the Father alone. At one and the same time – this is the wonder – as Man He was living a human life, and as Word He was sustaining the life of the universe, and as Son He was in constant union with the Father. We confess that the Only begotten Word of God, begotten of the same substance of the Father, True God from True God, Light from Light, through Whom all things were made, the things in heaven and the things in the earth, coming down for our salvation, making himself of no reputation, was incarnate and made man; that is, taking flesh of the holy Virgin, and having made it his own from the womb, he subjected himself to birth for us, and came forth man from a woman, without casting off that which he was; but although he assumed flesh and blood, he remained what he was, God in essence and in truth. Neither do we say that his flesh was changed into the nature of divinity, nor that the ineffable nature of the Word of God was laid aside for the nature of flesh; for he is unchanged and absolutely unchangeable, being the same always, according to the Scriptures. For although visible and a child in swaddling clothes, and even in the bosom of his Virgin Mother, he filled all creation as God, and was a fellow-ruler with him who begat him, for the Godhead is without quantity and dimension, and cannot have limits. The Infinite God, remaining changeless, assumed flesh and fought with death, freeing us from all suffering by his own suffering. The Christian doctrine does not hold that the Godhead was so blended with the human nature in which He was born of the virgin that He either relinquished or lost the administration of the universe, or transferred it to that body as a small and limited material substance. It is not to be believed that this form [Christ's body] is everywhere diffused. For we have to be careful lest we so construct the divinity of the man that we give up the truth of the body. For it does not follow that what is in God is everywhere as God is everywhere. Similarly, how can one distinguish these words of Aquinas from the dictum finitum non capax infiniti? As is plain from 2, 1,6, the union of the two natures in the Person of Christ took place in such a way that the properties of both natures remained unconfused, i.e. "the uncreated remained uncreated, and the created remained within the limits of the creature," as Damascene says (De Fide Orth. iii, 3,4). Now it is impossible for any creature to comprehend the Divine Essence, as was shown in I, 12, 1,4,7, seeing that the infinite is not comprehended by the finite. And hence it must be said that the soul of Christ nowise comprehends the Divine Essence. This, too, is doctrine that Calvin would affirm. But the difference is that Nestorius would not. Cyril's defense of eucharistic adoration is predicated on a belief in the Real Presence, which Nestorius evidently affirmed, judging by this entry in the Catholic Encyclopedia: "the Nestorians ... preserved their faith in the Eucharist as unwaveringly as the Greeks." What Cyril appears to be saying is, "If Christ is present as a man in the host, how could he not also be present as God?" which Calvin would not disagree with (he says in his Institutes that "the whole Christ is offered in the supper.") Calvin simply disagrees with the premise. Yes, he seems to disagree with Cyril here, but since that disagreement isn't shared with Nestorius, it doesn't make sense to refer to it as Nestorianism. You can say, for example, "God died" if you mean that God as a man in the person of Jesus Christ died. But you can‘t say "God died" if you mean God as God died. Note also that Sproul himself affirms that Mary is the theotokos. Thus his divine nature has always remained uncreated, without beginning of days or end of life, filling heaven and earth. Christ’s human nature has not lost its properties but continues to have those of a creature—it has a beginning of days; it is of a finite nature and retains all that belongs to a real body. And even though he, by his resurrection, gave it immortality, that nonetheless did not change the reality of his human nature; for our salvation and resurrection depend also on the reality of his body. So then, what he committed to his Father when he died was a real human spirit which left his body. But meanwhile his divine nature remained united with his human nature even when he was lying in the grave; and his deity never ceased to be in him, just as it was in him when he was a little child, though for a while it did not so reveal itself. These are the reasons why we confess him to be true God and truly human—true God in order to conquer death by his power, and truly human that he might die for us in the weakness of his flesh. Who died on the cross? Jesus Christ, who was both God and man. Not the answer you're looking for? 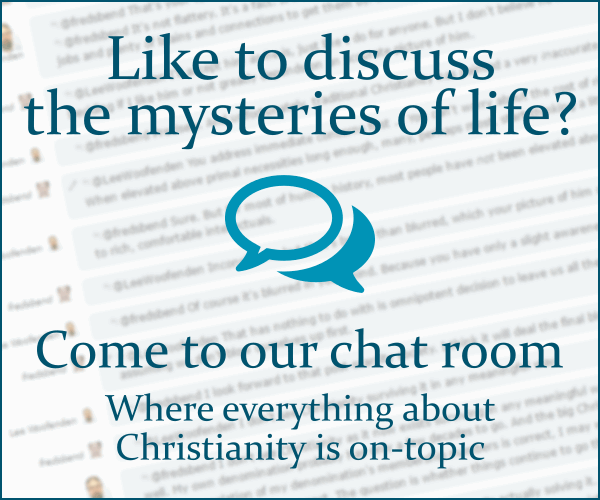 Browse other questions tagged christology hypostatic-union calvin nestorianism or ask your own question. What is the difference between the Christologies of Nestorianism and Pelagianism?